The King is Coming to Benin. 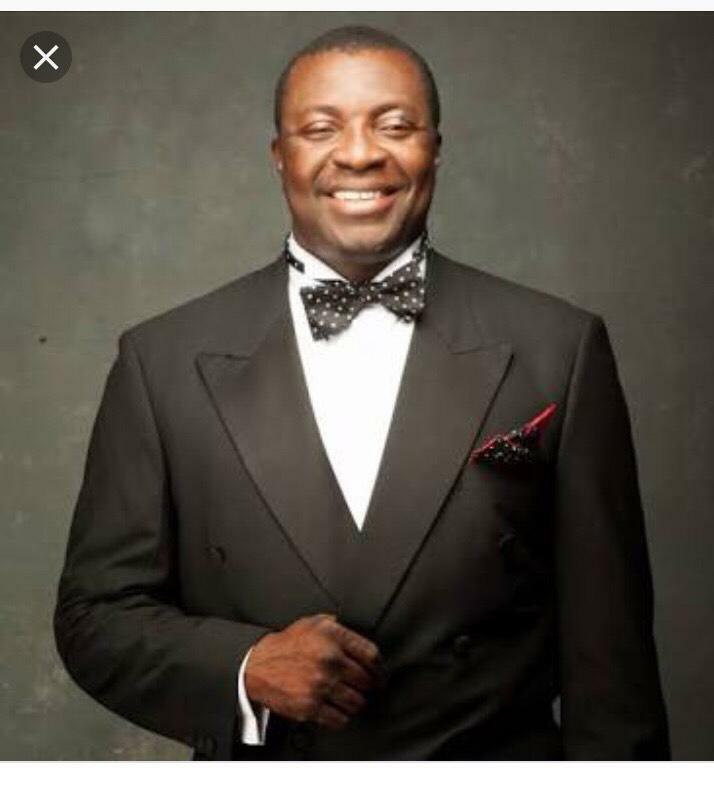 Look no further as the King himself, Alibaba is coming to Benin to be Part of the most Anticipated Show in South South of Nigeria tagged Seriously funny with Efex at the civic center on Airport Road, on Easter Sunday 21th April, 2019. The Annual Comedy Show is being put together by Efex De Entertainer who also doubles as Chief Protocol officer to The National Chairman of APC, Comrade Adams Oshiomhole. 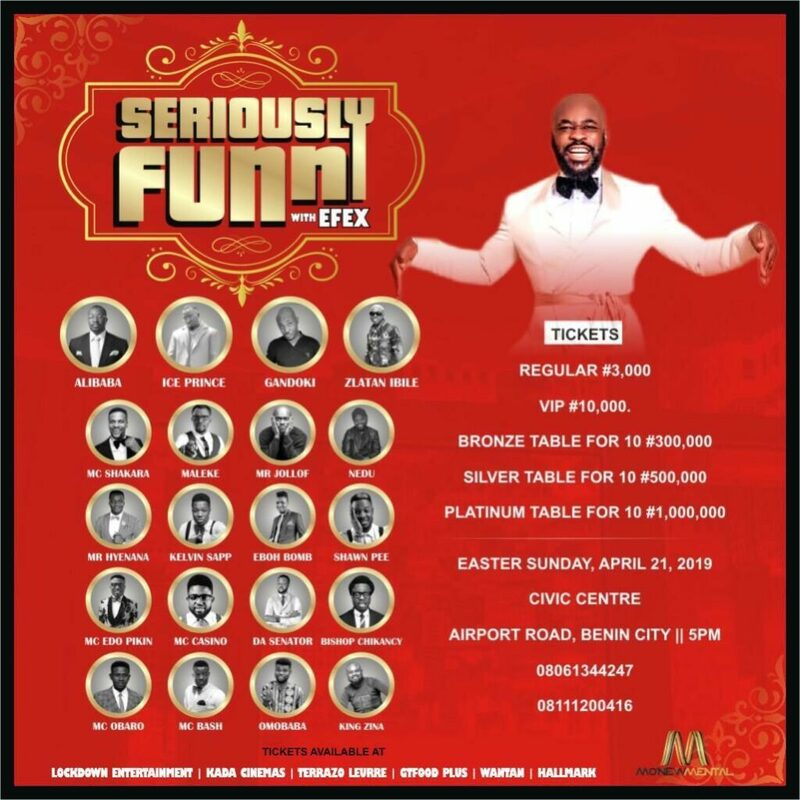 Efex as he is fondly called by his numerous fans will open the floor with his rib cracking jokes like you have never heard it before which will pave the way for the arrival of King of Comedy, Alibaba. Anywhere there’s King Alibaba,you must see his chiefs and lieutenant like the Award winning Gandoki, Maleke, I go die, Shan P, Mr Hyenana, MC Shakara, Omobaba, Edo Pikin, MC Casino, Nedu, Mr Jollof with Other Comedian while Ice Prince Zamani with Zlatan Ibile will be dishing out music to Entertain all the guests. Its not too late to be part of the show, just go get your tickets who knows you may be one of the lucky winners to dine with the King. Big Brother Naija finalist, Anto lecky with Mr jollof will be on the red carpet to cheers you up for the Seriously funny with Efex.